1,340 cases of EBV, of which 1,274 are confirmed. The number of deaths rose to 874. “…….WHO Director-General Tedros Adhanom Ghebreyesus, PhD, tweeted the same day about the most recent attack. The Democratic Republic of the Congo (DRC): Ebola outbreak total = 1,302 and the death toll has now reached 843. The committee strongly emphasized the critical need to strengthen current efforts in both preparedness and response. This will require substantial, immediate and sustained additional financial support. 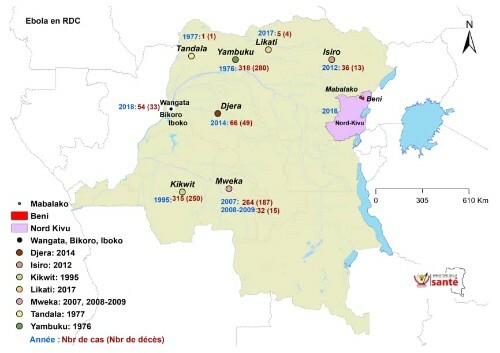 The Democratic Republic of the Congo closed out March with an ongoing spate of cases over the weekend: 23 in eight locations. Depuis le début de l’épidémie, le cumul des cas est de 1.082, dont 1.016 confirmés et 66 probables. Au total, il y a eu 676 décès (610 confirmés et 66 probables) et 331 personnes guéries. 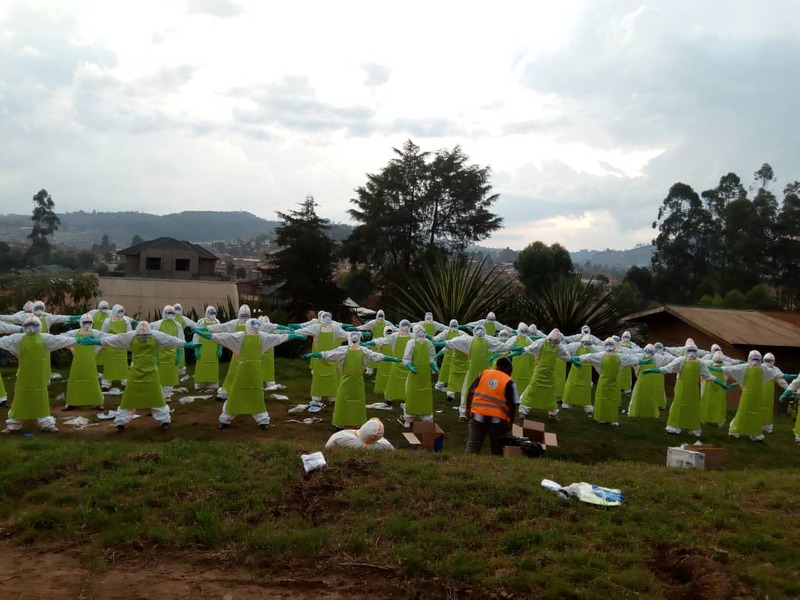 The Democratic Republic of the Congo (DRC) saw no let-up in Ebola cases with the health ministry reporting six more cases. Depuis le début de l’épidémie, le cumul des cas est de 1.022, dont 957 confirmés et 65 probables. Au total, il y a eu 639 décès (574 confirmés et 65 probables) et 324 personnes guéries. 3 nouveaux patients guéris sortis du CTE de Butembo. “The cases bring the outbreak’s total to 980 cases, including 606 deaths. “…….survivors reported certain symptoms at significantly higher rates than controls, and in both groups, adults reported more symptoms than children and adolescents. Survivors reported higher rates of: urinary frequency (14.7 percent vs. 3.4 percent), headache (47.6 percent vs. 35.6 percent), fatigue (18.4 percent vs. 6.3 percent), muscle pain (23.1 percent vs. 10.1 percent), memory loss (29.2 percent vs. 4.8 percent), and joint pain (47.5 percent vs. 17.5 percent).